This was my response when I found out that after only 5 months of marriage my husband and I was expecting our first child. I had it all planned out. We would be married for at least two years before we have our first child and the first two years of our marriage would be spent traveling the world together, establishing a successful life together, and just enjoying being married to one another. And then once we’re established we would start trying for a baby. I mean two years is enough time right? Enough time to prepare. Enough time to make our lives as perfect as possible before bringing a baby into the world. Enough time for me to become more “mom like”. Enough time for my husband to become more “dad like”. In my mind, waiting two years before having a baby was the perfect plan! I could start MY business and then have a baby. I could pursue MY dreams and then have a baby. My husband and I could travel the world together and then have a baby. Isn’t it just like us to make plans selfishly. We make self centered plans. Plans that benefit ourselves only. My plan to wait two years was all about ME! It wasn’t about what the Lord had planned for my husband and I, it was all about what I wanted and what I thought was best for the both of us. How many times have we made plans without seeking the Lord FIRST? How many times have we tried to play God because we thought we knew what was best for us? The more I told God…”But this wasn’t my plan”, the more He reminded me of Jeremiah 29:11-“For I know the plans I have for you declares the Lord, plans to prosper you and not to harm you, plans to give you hope and a future”. I’ve read this particular Bible verse over a hundred times but this time was different. This time it had much more meaning. I now understood what it meant to trust in the Lord with ALL my heart, enough to surrender my plans to Him! It’s so funny how we trust the Lord with everything else in our lives but our future when He’s the one who holds our future in HIS hands! Through this verse He reminded me that it was never really about me in the first place, and in order to see HIS plans come into fruition I had to be willing to give up MY plans! His plans are much more fulfilling than my plans would ever be anyway. Through this verse He gave me reassurance. He gave me peace. He gave me a new level of trust in Him that I didn’t have before. I believe we become disappointed when OUR plans don’t go as planned because we don’t trust God enough. We don’t trust Him to provide. We don’t trust that He has already given us everything we need to be successful. We dont trust that He really does have our BEST interest in mind. We don’t truly believe that He loves us with an everlasting, unconditional love! After being reminded by the Lord, that HE knows the plans that He has for me I’m now able to stand PROUDLY as a new mom to be! I’m happier than I’ve ever been and SO EXCITED about this new journey! As a daughter of God what are you willing to give up in order to see God’s plans manifest in your life? Are you willing to give up YOUR dreams and YOUR plans? Are you willing to give up YOUR idea of what’s best? Thanks so much for reading! I pray that my story has encouraged and motivated you in some way! 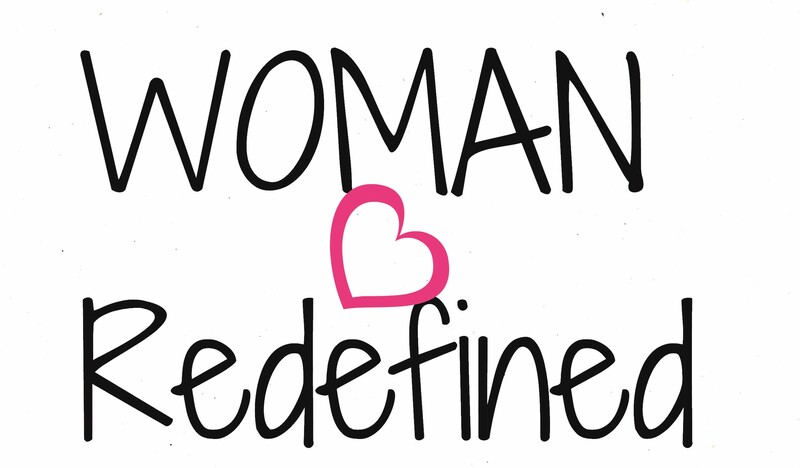 If you haven’t already don’t forget to like Woman:Redefined on Facebook by clicking the link below for live discussions, giveaways, AND MUCH MORE!! What a wonderful reminder that God is in control and God’s plans are always the right plans! What a great reminder! Even though I know without a doubt that God’s plans are infinitely better than my own, for some reason I need to be constantly reminded. Thank you! Great post! I think we struggle to surrender to God’s plan because we like to be in control. We know what we want and we think we know how to get it, and letting anyone but ourselves be in charge can be scary. I really enjoyed this post. In every season, we can’t help trying to plan our lives, when we fail to forget God is not fitting into our agenda, no we’re supposed to fit into his agenda. It’s a fleshly, emotional, mindful struggle to trust when God can see the farther ahead and on his timing, yet we are always trying to rush and make it happen or fitting it into a checklist. I am so glad I came across your blog, this post is just a great reminder God is in control. I know, but its the mind we have to train in knowing Gods plans are the right plans. It’s all about Him! Thank you so much, Tiarra, for the reminder. And congratulations to your first baby!